Music is such an incredibly powerful force. It can be soothing and calming as well as exciting and inspiring. 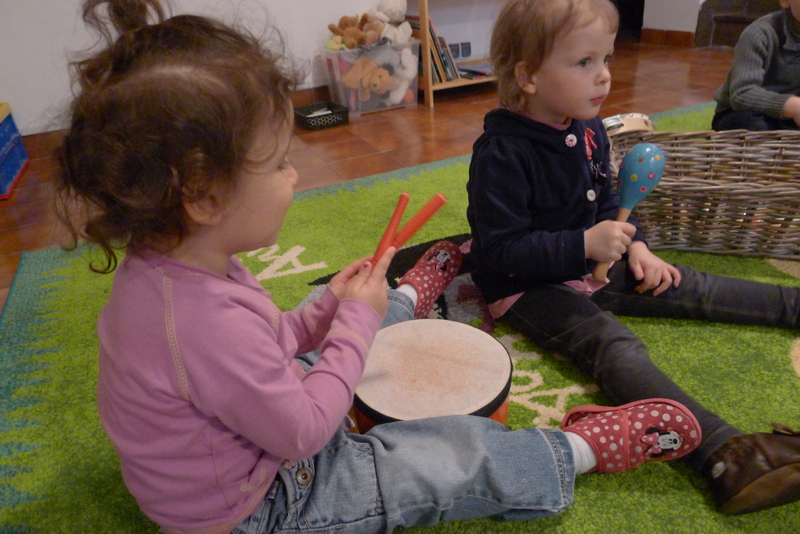 Toddlers and preschoolers enjoy music in a very active way, banging an instrument, dancing or singing along. At our preschool, we follow an Orff/Kodaly approach to music, which promotes creativity by teaching music in a way that allows children and teachers to engage all their senses using speech, singing, movement, dance and playing instruments. When we opened the doors to Maple Tree Montessori this past September, we also started a Tuesday morning music class for mums and their tots. Although I’ve always sung with the children in my class and led organized music classes for preschool kids, this was the first time that I had grown ups in a class with me! I have to admit that it was a bit daunting at first, but more importantly, having to explain the logic behind my classes to an adult really got me thinking about why I run my classes the way I do. All the things I do based on knowledge and experience had to be explained, which is how today’s blog post got started. Today’s focus is song selection, something that might appear to be a simple task, but is actually a lot harder than it seems! 2) provide the chance for lots of repetition. It is tempting to sing songs that all adults know, for instance the Alphabet song, or You are my Sunshine. These are wonderful songs to sing, but offer little repetition and it is hard to get children involved in singing without extra props. If you sing too many of these in a row, you are almost sure to lose the interest of your kids. (note: this is the most frequently used first verse, and the full lyrics vary depending on what website you search). Repetition: check! Opportunities to build in participation: check! In a circle, the children can participate individually by making a bridge with their hands, and then dropping to the floor every time they hear the word “fall”. 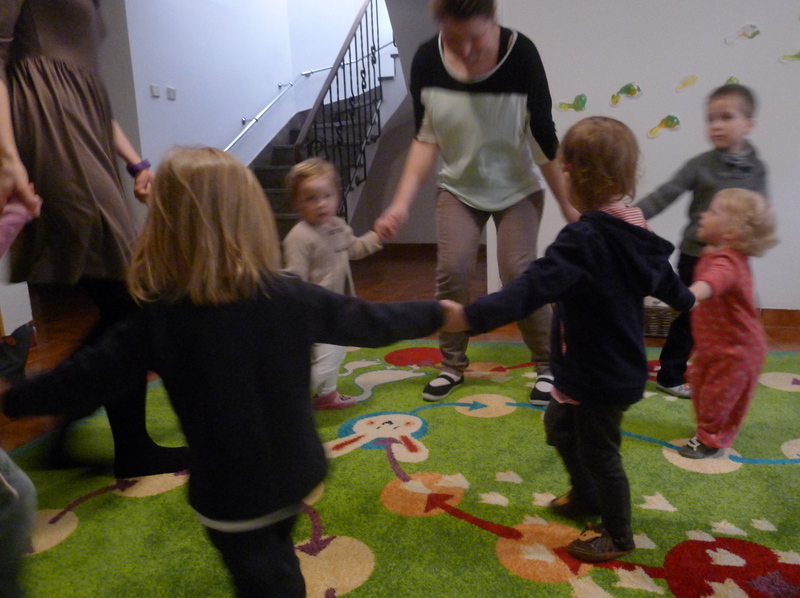 Or, as a group, two children can join hands and act as the “bridge” and the rest can form a circle that walks under the “bridge” as they sing. To add another fun element, the “bridge” can also drop on the word “fall” to try and catch someone under “it”. You can also vary speed by singing slower and faster. For an easy song that requires less movement around the room, the Eentsy Weentsy Spider is always a hit. Again, think about the lyrics, and how easy it is to make actions with your arms! So the Eentsy Weentsy spider went up the spout again (repeat the first action). Songs with built in actions that children can show with their bodies are wonderful because they encourage active participation.